Three Day Rule has quickly become THE hot ticket to dating new hotties in LA. And the Three Day Rule magic word for you is LaLaScoop! 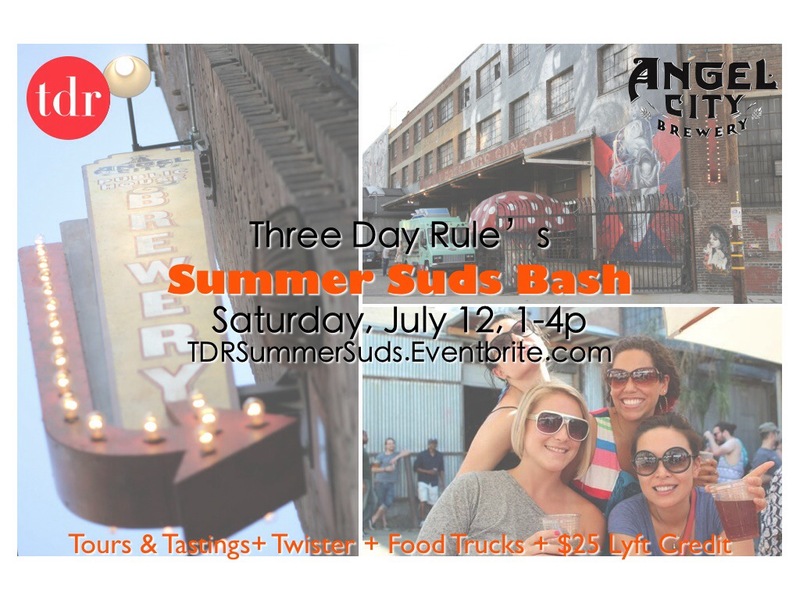 You’re invited to come out to Angel City Brewery on Saturday, July 12th for TDR’s Summer Suds Bash with a special discount and fancy perks. Partake in private brewery tours & tastings, indulge in treats offered from an array of food trucks, and let loose with field games like Ladder Toss, Corn-Hole, and Twister. We’ll be playing with full abandon and we want you to come too! Use the promo code “LALASCOOP” for $5 off your ticket (making it only $10 in advance), and even get a $25 Lyft credit to get your body there. And get this, just for being one of our fabulous readers, you can also use the promo code “LALASCOOP” for one full free month of curated online dating at Three Day Rule! It’s usually $50 bucks, so that’s a pretty great perk, right? Just redeem it by August 31st and you’ll be set to set the dating scene on fire.